In a last-ditch effort to save the critically endangered vaquita porpoises, the San Diego Zoo Institute for Conservation Research received tissue biopsies for its Frozen Zoo. The biopsies were collected at the end of 2017 from two female vaquitas during an attempt to establish a breeding program. The tissue was collected by scientists working with the Mexican government and conservationists during a last-ditch effort to capture the few remaining vaquitas, which live in in the waters off the northern end of the Gulf of California. The samples were brought to the Institute so that it could be cultured and stored in the Frozen Zoo, a collection of genetic materials from endangered species to protect the diversity of the gene pool. Despite efforts by the Mexican government to ban gillnet fishing, which inadvertently trap and drown these porpoises, their numbers continue to dwindle. 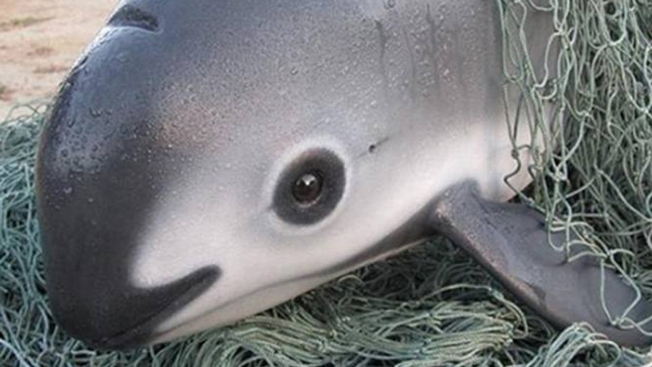 Scientists estimated there are fewer than 30 vaquitas, the smallest of the cetaceans, in the wild. The elusive marine mammals measure only 3 to 4 feet in length. Scientists warn that the genetic materials from two individuals won't save the species if they go extinct in the wild. "Although we are announcing remarkable success in our ability to save viable tissue culture cells from two vaquitas, we must recognize that this small step will not allow us to save the species,” Ryder said. The cells, which had never been attempted to be cultured before, however, are expected to give scientists more information and insights about the vaquita.